MaxiFlex Cut for dry environments. 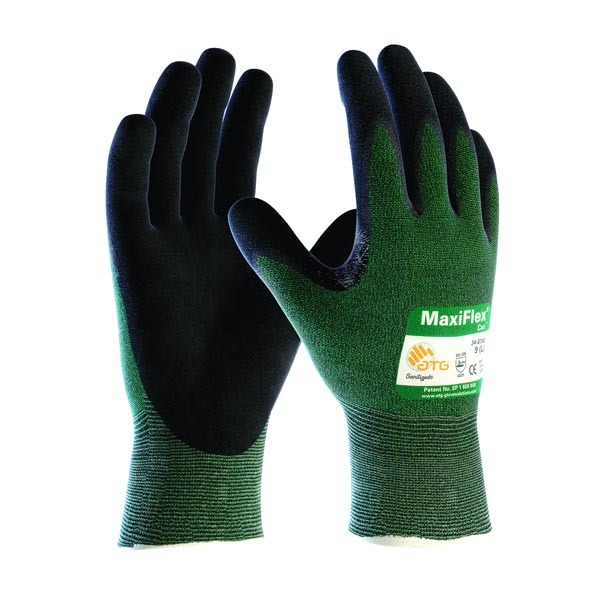 Patented black micro foam nitrile coated palm & fingers, on super thin seamless knit liner. Super thin Cut Resistant Level 3 liner. Reinforcement between the thumb and forefinger, improves cut resistance and extends glove life in an inherently weak area. 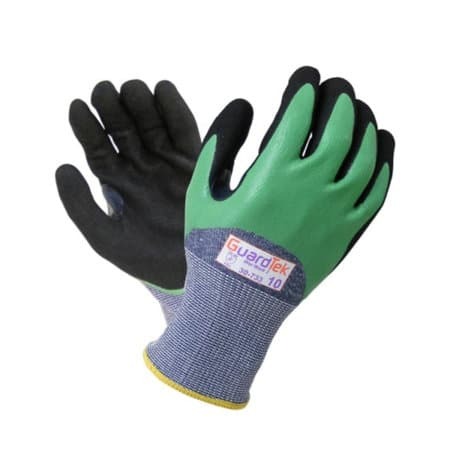 Ultra cool and very comfortable to wear, breathable coating keeps hands cool and dry. Excellent dexterity, sensitivity and tactility. Designed to produce minimal lint and dust. Minimal penetration (strike through) keeps the liner soft on the inside of the glove. Optimised grip delivered through micro cup finish, allows for controlled grip in dry environments. Seamless CUT resistant Level 3 liner, micro foam nitrile coating. Continuous knit cuff style. Sizes S – 2XL. 12 pairs per Pack, 72 pairs per Carton.